Smooth coverage with a splash of color. Clean surface of glass with a monitor wipe or clean cloth to remove any dust particles. This will help create a smooth surface for paint to adhere to. Place your bowl(s) on newspaper or a tarp to catch any overspray. 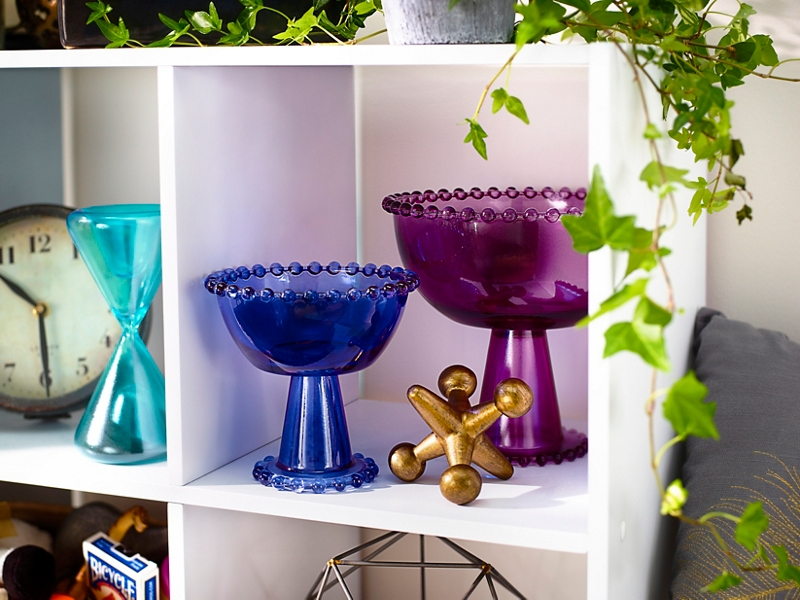 Apply even coats of Krylon® Stained Glass Paint to your bowl(s). Spray in sweeping motions side to side with slight overlap for optimal coverage. You may choose to spray fewer coats to add just a touch of color to the glass or multiple coats to create a more vibrant piece. Allow your piece to dry completely before handling. Using a Lazy Susan while painting can help in creating even coats.